How to collect a stool sample. So just how do you collect a stool sample at home ? With Hystool® you simply attach one of our collection bags to the toilet. Pass a stool into the bag and having taken the required sample flush the bag and contents away. 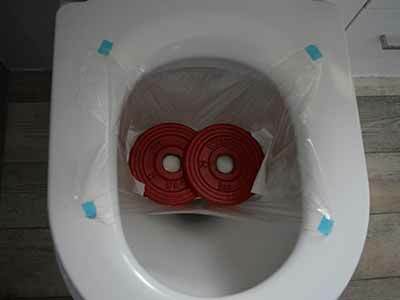 There is no need to reach inside a potentially contaminated toilet bowl to fit it. 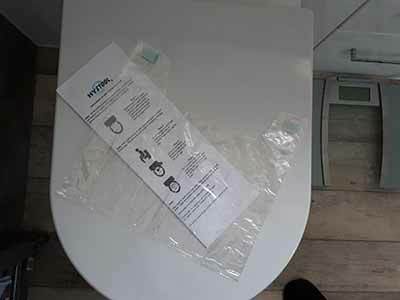 Our stool collection bags are strong, lightweight, very flexible and fit any size of toilet. They are made from PVA which is environmentally friendly and will dissolve in water within minutes so they are safe to flush away. The bowel cancer screening test kit is sent to those of a certain age every two years. The test kit does not provide any means of collecting a stool instead the recommendation is that people doing the test use a container like an old ice cream tub to collect their poo and then afterwards they have to reach inside the toilet retrieve that soiled container and then dispose of it. We think that HyStool® is a much easier and more hygienic solution. Here is our simple and hygienic instruction guide to stool sample collection. Note: … Go for a Pee before using this product. HyStool® bags will dissolve on contact with water so urinate before doing the test to reduce the chance of urine contacting the bag. HyStool® may be fitted on the toilet bowl rim instead of the seat. Peel the backing paper off from the four adhesive pads on the corners of our stool collection bag. 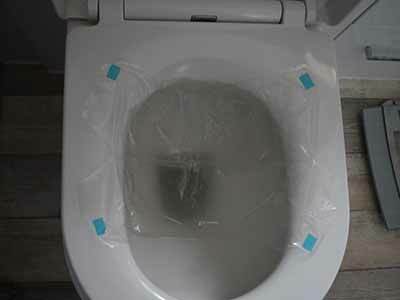 Open the bag as wide as possible and using the adhesive pads stick the bag to the toilet seat or bowl rim. Fit the bag towards the rear of the seat leaving a gap as shown. 1. Put some folded toilet paper in the bottom of the bag. 2. Sit on the toilet seat and use the toilet as normal. Pass a stool into the bag. Try not to pee into the bag as this may cause the bag to dissolve and burst. HyStool® only provides a method of containing the stool you must now use a stool sample collector such as in the bowel cancer screening test, or a similar test for Crohn’s disease, ulcerative colitis etc to take an actual sample of the stool. 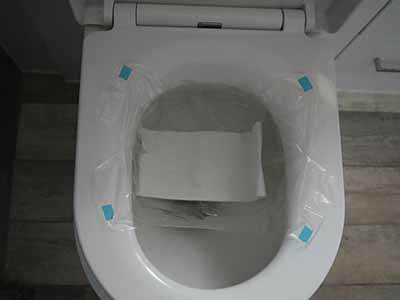 On completion of the stool screening test simply unpeel the stickers from the toilet seat allowing the bag, stickers, and contents to fall into the toilet. This may now be safely flushed away. 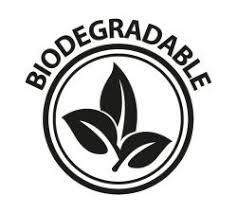 Our bags dissolve in cold water and the stickers are biodegradable. HyStool® makes stool sample collection as simple and hygienic as possible. For more information about this innovative device please contact us.